After you present sugar to your pearly whites, it takes just 20 seconds to convert it to cavity-causing acid. Consistent sipping and snacking reintroduces sugar to your smile. In terms of eating, time trumps amount. For example, sucking on a lollipop all day is actually more damaging than if you were to eat 5 lollipops after lunch (though neither are a good idea). Though there’s no crystal ball for cavities, you can still do your part to practice preventive care. 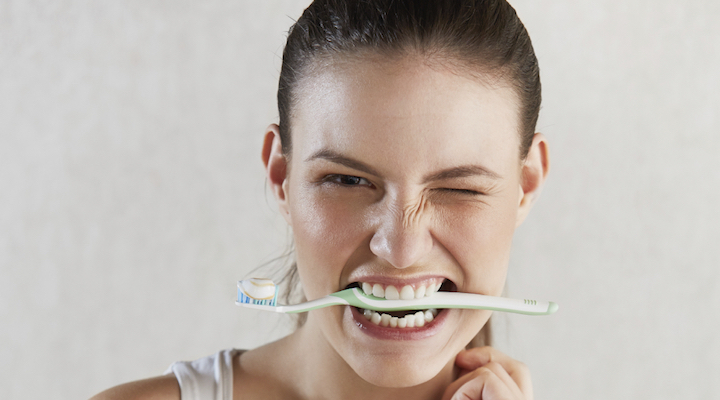 Daily brushing and flossing paired with other healthy habits will increase your healthy smile odds.